We are situated in a sweet spot of Southern California, located out of the big cities, but within driving distance to lots of fun spots. In anywhere from 1-4 hours we can be somewhere completely fun and unique to Southern California. And we love to explore with our kids, but sometimes the drive can be a drag. One time we were coming home at the end of a long day at Disneyland and the girls (love ’em!) spent 30 minutes scream-crying at the top of their lungs. About 15 minutes in, we just had to start laughing because it was so completely ridiculous – and one of those moments we will remember forever. And though it was clear that our girls were over-tired after a long day of fun, we realized that they need something in the car to get their minds off of the tired long enough so they could get still and (hopefully) fall asleep. Once we discovered the things that really make our girls happy car-campers, we make sure that we NEVER leave on an extended car ride without them. 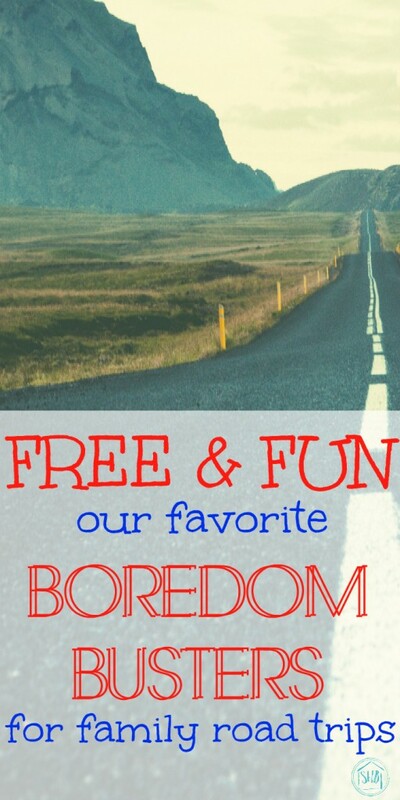 Since we parents have to stick together in the battle against car ride boredom, I thought I would share with you our favorite FREE road trip boredom busters for kids under 5. Some of these activities are screen-free and some require a smart phone or tablet. And there is a reason I am sharing both. 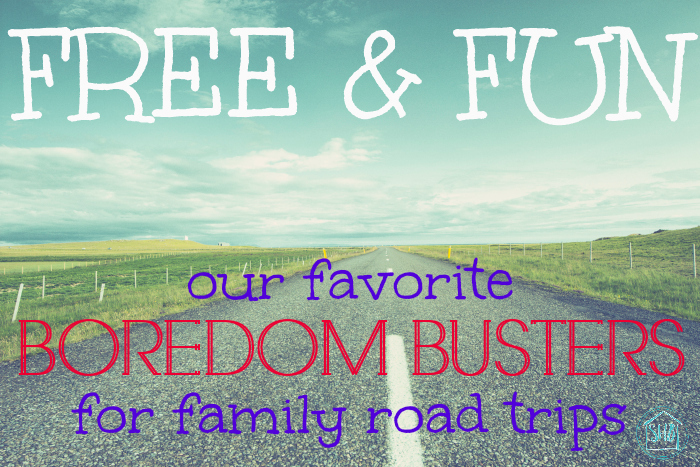 As much, as I would like to say that we do screen-free road trips with our kids…WE DON’T! We have those times when a meltdown is in full-effect and the only thing that will calm them down long enough to breathe is a screen (sad, but true). I hope you can find something that will work here for your kids and your family, whether you are a screen-free family or you (like us) say, “Yes” to screens when necessary. Change your voice. We found this app on Amazon Underground (read more about this amazing program below or get it on your Android smart phone here. ) that changes voices with fun effects. It is sort of an auto-tune app. And I am sure you can already imagine that kids LOVE it! Our girls love this so much that it is hard to get our phones back from them. And the giggles and squeals coming from the back seat are contagious! They can spend hours playing with this thing and coming up with new things to say. Jokes and more Jokes. We kind of go by the philosophy that laughing in the backseat is better than screaming! Our girls are just starting to discover knock-knock jokes. And we found a great list of them to print out and bring on road trips. Since only one of our girls is already reading we found a fun app on Amazon Underground that tells knock knock jokes using a simple double tap. So kids get to “knock” on the door and hear another joke. Create a story together. We got this idea from my mother-in-law. She starts a story with the girls and then everybody takes a turn telling what happens next in the story. It is so fun to come up with silly stories together. This is a great car activity if your kids are not in overwhelmed mode, like at the beginning of a road trip or beginning of the day. I-SPY. Nothing beats a simple game of I-Spy for our girls! We did a post office I-Spy a while back and they still call out when we see the things from that I-Spy! I found another great printable I-Spy for longer road trips with preschoolers – it doesn’t have a ton of things to look for, but as I said, our girls will continue to look for those items for a LONG time during and after the road trip. Tablet/smart phone games. I thought I knew everything Amazon had to offer (we are long-time Prime members and fans), but the other day I found Amazon Underground and it is an amazing source of actually FREE games for kids. I say they are actually free because they remove the opt-ins and in-app purchases for kids (so you don’t get a huge bill at the end of the car ride) – making the games actually free! We found a TON of games we wanted to play on Amazon Underground for FREE. And, I have to be honest, we haven’t waited until a long car ride for the girls to play! But we have limited the amount of games they can download per day (they are tempted to try everything all at once in all things app/game related) to just ONE! The games are games that my girls actually WANT to play, too – everything from Disney character games to Crossy Road! Cat Sat. We have this ultra-silly game we play with our girls on road trips that they LOVE, LOVE, LOVE to play! It is called Cat Sat. It is a sort of paperless Mad Libs. It goes like this, “Cat Sat on a (adjective/adverb) (noun).” And the sentences we come up with fall into two categories: gross or painful! So, cat has sat in all kinds of gross and dangerous places, like a yucky diaper or a prickly cactus. We take turns in the car coming up with Cat Sat scenarios and then everyone else in the car says, “Ewww!” or “Ouch!” depending on what was said. FREE Kindle books. We have some book-loving girls in our home! And instead of bringing a TON of books on road trips, we invested in Kindle Fires for our them so that we could have lots of entertainment and e-books on hand while on the road. I simply add FREE kids ebooks to my Amazon Kindle account as I find them and then load them onto their Fires before we head out. Amazon Underground e-books. We also found out that the Amazon Underground app has FREE e-books. The girls are so happy to have found the Berenstain Bears, Dr. Seuss, and Little Critter books. They also have one of my favorite author’s (Sandra Boynton) books for the girls to enjoy! These e-books are interactive, meaning they can read them by their selves or have the e-books read aloud to them. Movies. The technology today is so much more advanced than it was 10 years ago. I remember when the big thing was installing a DVD player in the car so kids could watch movies on the go. It was SO expensive! But now through smart phones and tablets, we can take almost an entire library of movies with us on the road. My husband uses two apps for putting our personal movie collection onto the girls Fires, but he selects two movies per Fire, per trip. That way if they get bored with watching one movie they can switch to another and trade their Fires for more variety. Favorite TV shows. We are also able to get some of our girls favorite TV shows on the go with the Amazon Underground app. The app streams all of Amazon’s Instant Video library – which gives them the first episode of LOTS of TV shows for FREE. We also have Amazon Prime, so we get streaming access to all the Prime library, too (we love the Amazon originals for kids!). 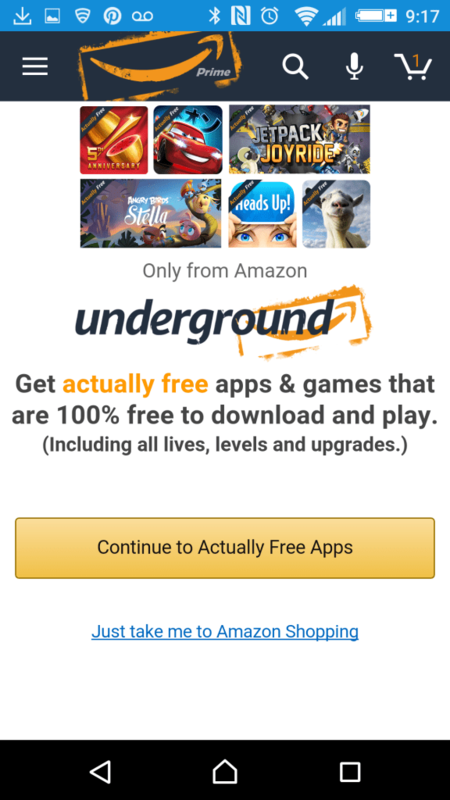 You get more than the regular Amazon shopping app with Amazon Underground. Specifically 100 percent FREE content – no ads, no tricks for kids, no big bill at the end of the road. Instant access. These things are SO easy to load into our phones or the girls’ Fire tablets to get ready to go. And the streaming is really nice for fresh video content when they want it. Unlimited entertainment. I love that the Amazon Underground app has so many options. Our girls are able to switch from a game, to a fun app, to a movie, to a book as often as they like to be in charge of their FUN on the road.